Functions of the peer review should be to make a decision whether manuscripts have suitable contents in order to publish the Journal or not. Thus, functions of the peer review should not be to criticize or argue the manuscripts. The peer reviewers who should be an appropriate person related to areas of manuscripts will be selected from the Editing Board of PWE. In some specialized fields, the peer reviewers are selected from outside of the Editing Board. These peer reviewers should not be announced to public. 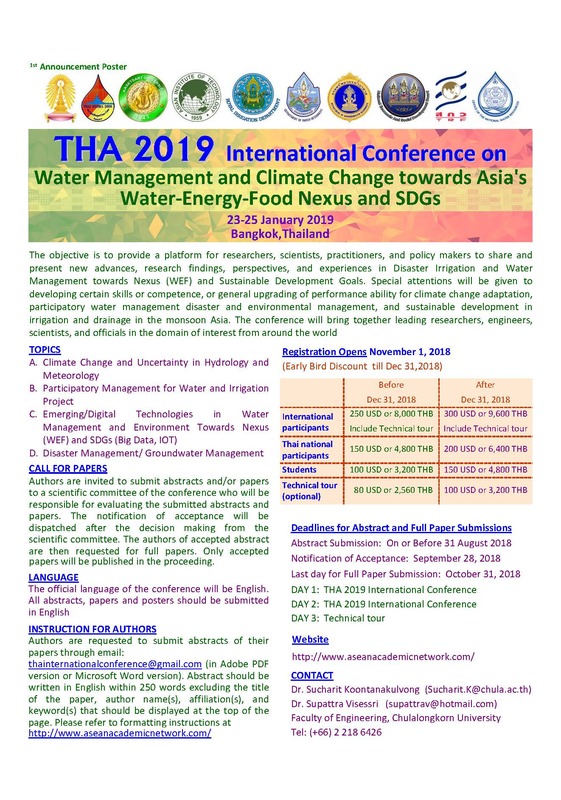 Manuscripts: The manuscripts submitted for publication must be previously unpublished research works written in English, which are not being considered for publication elsewhere. The style of the manuscripts should conform to the guidelines (Form of Manuscripts). Types of Manuscripts: The papers are classified into four categories. Technical Reports: Technical reports are application-oriented papers. The manuscript of the reports must meet the following requirements;（a）The material should present original and important contributions to the research applications in the fields of study covered by the PWE;（b）It should emphasize the application of engineering knowledge and skills;（c）The　information should be well organized and be presented objectively, and the scope and purpose should be clearly stated;（d）The conclusions should be useful for easy adaptation by others; (e) The case study based on certain interesting projects should be reported in this category. Reviews: Reviews are papers dealing with all aspects of paddy-farming related scientific and technological aspects in agricultural engineering. Authoritative and critical reviews of the current state of knowledge are preferred. Short Communications: Short communications are concise but complete explanation of limited investigation on the update topics in the fields of PWE. Title：The title should describe adequately the subject of the manuscript. Please give suggestions for improving in wording. Abstract：The abstract should tell in brief the purpose of the study, methods used, results, and conclusions. Please remind that abstract is the most widely read section of a paper. Review of Literature：The author should give due credit to relevant contributions of others. The author should place the contribution in proper perspective in relation to the state of knowledge of the subject. The numbers of literature citations should not be excessive. Objectives：The objectives of study should be adequately and appropriately described. Methods：The methods should be used appropriately for the purpose. Suitable measurements should have been performed to test the validity. The methods should have been described in sufficient detail to permit a reasonably competent reader to repeat the work. Clarity：The author should write the information in a relatively simple, straightforward manner that can be readily understood by a reasonably competent reader. Organization： The manuscript should develop the subject logically and effectively. Duplication：The manuscripts should not refrain from repeating unnecessarily the published work of the author or others. Please check if the manuscript can be shortened without loss of content by condensing two or more tables and figures into one. Give some comments if there is unnecessary duplication in the text. Calculations：In a few instances selected at random, check if can you verify the calculations made by the author. Correspondence of Text with Tables and Figures：All tables and figures should be referred to in the text. Statements in the text should correspond to the content of tables and figures. Titles of Tables and Figures：The titles should state the content. Please give suggestions for improving in wording. Headings in Tables：The interpretation should be clear and unequivocal and in the correct SI units. Graphs：The plotting of data should be accurate. Conclusions：They should be stated adequately and unambiguously, and should be supported by the data. Conjecture：The author should distinguish clearly between conjecture and fact. References：Please check if there are any obvious errors, such as misspelled names of authors. Editorial Style：The manuscript should conform to current editorial style and format, including SI units. 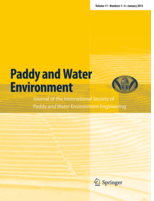 As the Editor of the journal Paddy and Water Environment I want to ask you if you could review the article “*****************************.” for a possible publication in our journal. If the above links do not work, please go to http://pawe.edmgr.com/. The manuscript reference is PAWE-D-08-00016R1. If possible, I would appreciate receiving your review in 21 days. You may submit your comments online at the above URL. There you will find spaces for confidential comments to the editor, comments for the author and a report form to be completed. Thank you for agreeing to review manuscript PAWE-D-09-00031 for Paddy and Water Environment. If possible, I would appreciate receiving your review by 03-08-2009. You may submit your comments online at http://pawe.edmgr.com/. There you will find spaces for confidential comments to the editor, comments for the author and a report form to be completed. Please note: Most authors are more responsive to a reviewer’s criticism if it is couched in constructive terms. Please be as specific as possible when citing poor documentation of results, superfluous passages, or inadequate referencing (i.e., identify the offending paragraphs and missing citations). Vague criticisms are of little use to either the editor or the authors. In general, the equivalent of 10 printed pages (not more 32 manuscript pages including references, acknowledgments, footnotes, tables and figures) should be considered the limit for any manuscript recommended for publication. In view of the number of manuscripts submitted every year, the editorial board is anxious to avoid publishing manuscripts which record yet another example of a well-known process or are concerned with phenomena of purely local interest. Details on reviewing are shown in the following sections. “5 Reviewer and Author Reminders”.